At Redmond Group Ltd our values are those of Professionalism, Commitment, and Safety. We expect every employee to believe in and embody those values, and we expect it of ourselves as an employer and as a business. 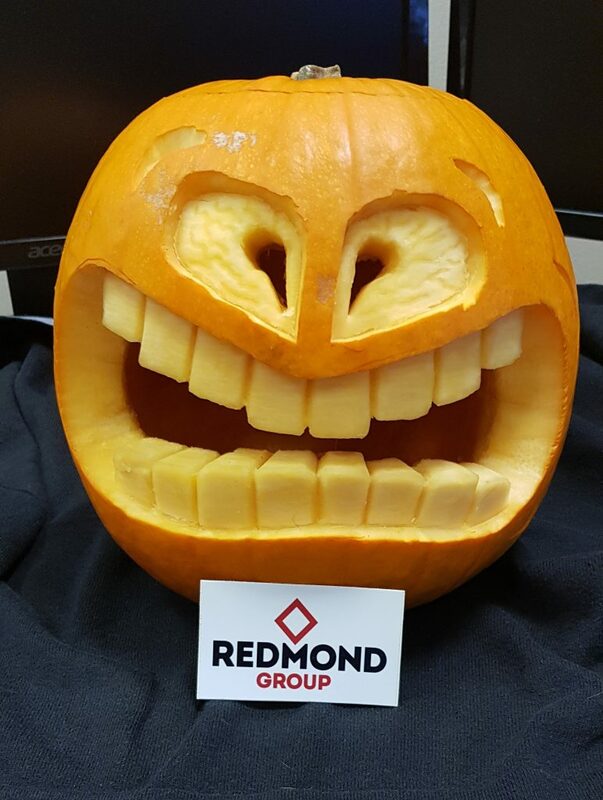 Redmond Group believes in planning for our future. The complex world of construction is constantly changing as new ideas and technologies develop; and we do all that we can to be proactive in meeting the challenges and opportunities those changes will offer. 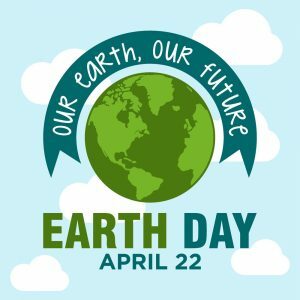 Stark warnings of the extinction of insects and all kinds of other life forms are regularly issued in local and international media. The importance to us all of maintaining diversity in all its forms cannot be underestimated. This includes the diversity of life forms, as well as the diversity of cultures and ideas. In business, diversity in the boardroom counts too. 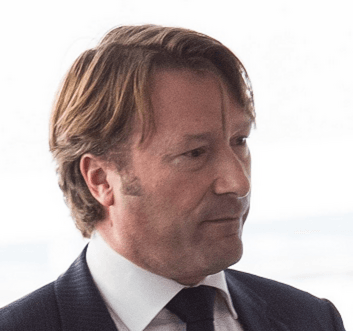 At Redmond Group we are fortunate to have Dr Paul Toyne, our non-executive director, who has a diverse background in property and construction and also in biodiversity conservation. Congratulations to the following people who have won Employee of the Month for each of our main sites in March. Friday is here! 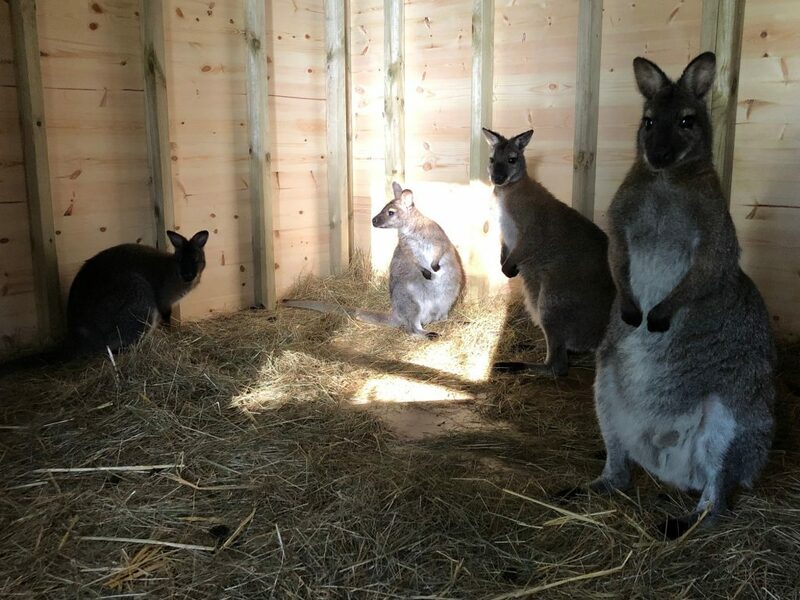 We’d thought we let you all unwind with a video… back on the 31st December our Community Zoo wallabies were treated to their New Years Eve meal. Work at our Embassy Gardens site is progressing very well. We would like to express our gratitude to all our operatives at Embassy Gardens for completing another quality installation on the roof. 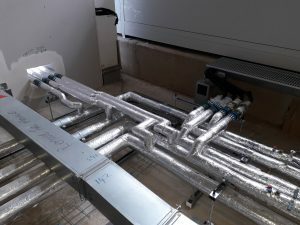 The photos below show the LTHW (Low Temperature Hot Water) and CHW (CHilled Water Systems) pipework. Lee Scott is a highly valued member of the Redmond Group family. He has grown within his role, and – through his instinct and drive to learn and apply knowledge – expanded it. One of our employees volunteers with Chickenshed inclusive theatre in North London as a Front of House Volunteer, and told us the wonderful story and ethos of the Chickenshed Theatre. Also about the amazing work the organisation’s employees and volunteers do to promote Chickenshed’s vision of inclusion and interaction across an incredibly diverse group of people. 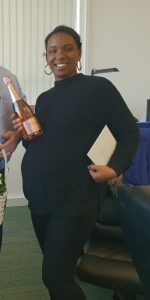 Everyone at Redmond Group Ltd was sad to say goodbye to Yasmine Small, who managed the accounts for Redmond Investments and Redmond Acquisitions. Yasmine has done an amazing job, working closely with our MD Stephen Redmond for a number of years. Although she’ll be a great loss to our close team, we do wish Yasmine all the very best of luck and happiness. We are proud to be registered with the Considerate Constructors Scheme (CCS) for the fourth year running, where we currently have a 4.5 out of 5 star rating. 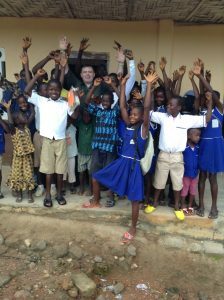 Five years after our MD Stephen Redmond assisted a village in the Eastern Provinces of Sierra Leone, we are following up with additional support through our monthly £200 donation from our ‘scrap metal recycling scheme’. 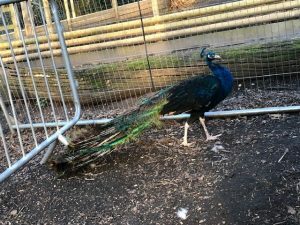 Joining our community zoo recently is Percy the Peacock, and Pia the Peahen. Percy joined us first, he is an Indian Blue Peacock, he was subsequently joined by Pia, who is a Black Shoulder Peahen. Both species are native to South Asia. 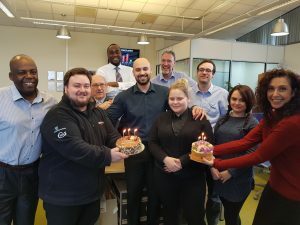 During March, we celebrated the birthdays of Nellie Smith, Alex George and Ben Stocker. Pizza for all at Redmond! 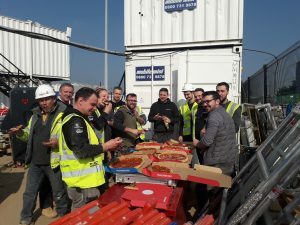 Redmond Group Ltd celebrated the last day of the 2018-2019 Financial Year with Redmond-wide Pizza delivered to our sites and our office, all in the marvellous Spring sunshine! We’re coming close to project completion at our JLR Coventry site, and the quality of our work installed has been praised as being to a superior standard. 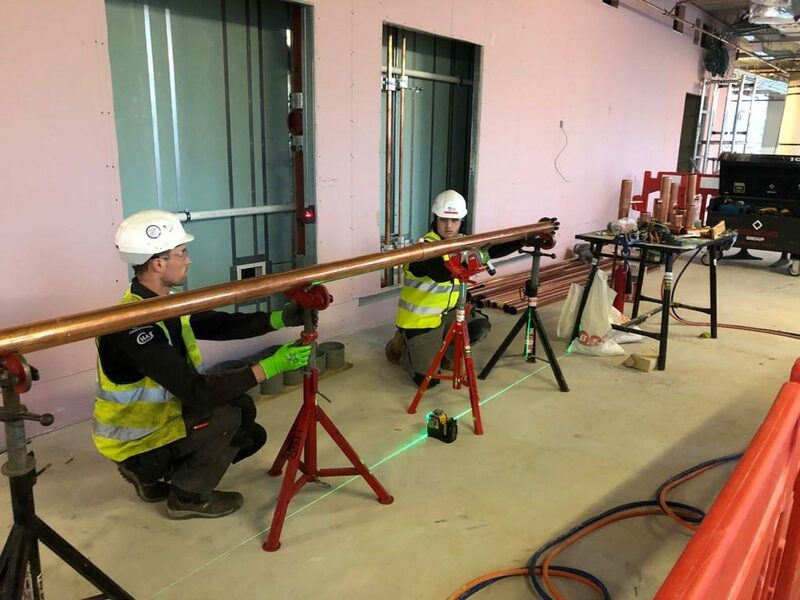 The photographs below are all associated to trench heater pipework installations; as you can see from the pictures, our operatives adhere strictly to the Redmond Group process of Quality Control Numbers (QCN) to claim ownership of the work they are so proud of. 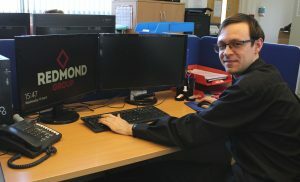 At Redmond Group Ltd it’s important to us to have our manufacturers visit our sites regularly to conduct quality assurance checks on our installation and processes relating to their products. 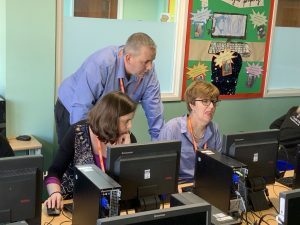 professional assistance as a Co-operative Governor to the school’s Board of Governors at Deanesfield Primary School in South Ruislip, Middlesex. 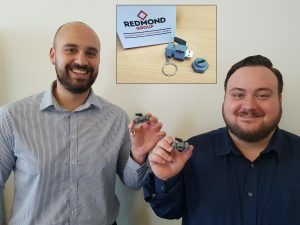 Redmond Group Ltd has partnered with Cavendish Engineers to show our commitment to our employees’ health and well-being, alongside strengthened energy management. 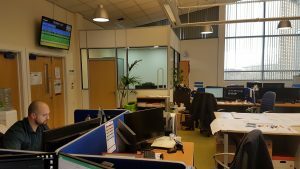 As part of this focus, the air in our office will be monitored for CO2 levels, humidity, and temperature – all to ensure comfortable levels of each. Additionally, electricity usage levels will be recorded in order to identify any areas for improvement and therefore manage better energy efficiency. As part of Redmond Group’s commitment to the United Nations Sustainable Development Goals, we do our best as an organisation to support and meet the guidelines set out to achieve Development Goal 6: Clean water and sanitation for all by 2030, set out on Our Commitments page. 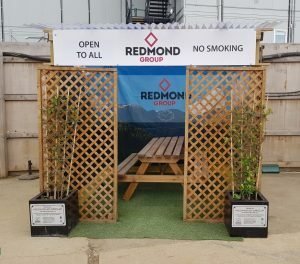 Redmond Group ensures its operatives have somewhere comfortable to sit down, relax, have a change of scenery, socialise and eat together when taking their breaks. We have installed (where site space permits us) sheltered picnic areas or “well-being huts” on each of our sites for everyone to use. 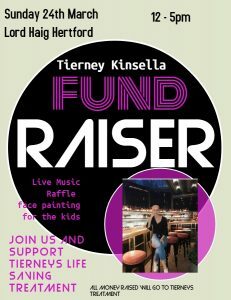 Our Plant and Labour Manager, Tayler Kiernan is running a charity fund raiser for Tierney Kinsell’s life saving Cancer Treatment at the Lord Haig in Hertford this Sunday, 24th March. Our Community Zoo is growing! 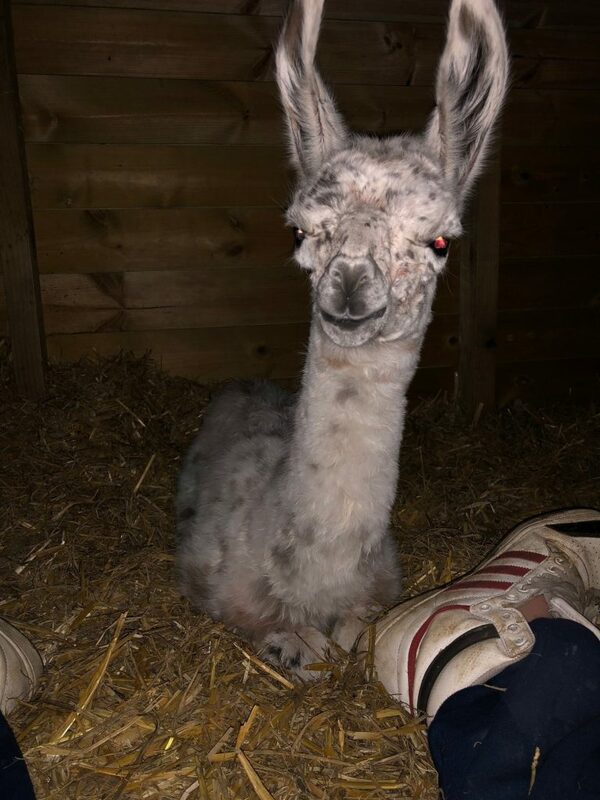 The livestock now includes chickens (bearded silky banthem, porecelin, frizzels, malaysian seramas) pygmy goats, kunekune pigs, mini pigs, rheas, alpacas, llamas, wallabies, a peacock and bees. Phil Hoad, our Operations Director, has been working on his own private restoration project. The world at our feet! As a growing company we wanted to ensure we have the right infrastructure in place for our exciting future. It’s been a few months since we moved, and we’re now fully settled in to our new offices. 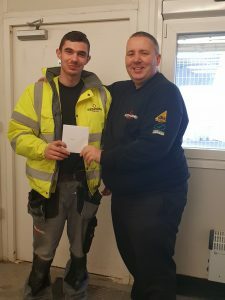 What better way to recognise National Apprenticeship Week than to celebrate one of our apprentices that has demonstrated the importance of these schemes in building a career for young people. 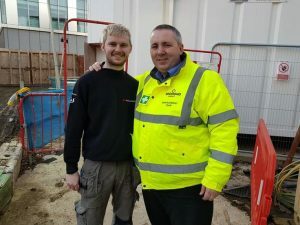 Lee Sargent started with us as an apprentice in February 2016 and continues to work with us as a fully qualified plumber. 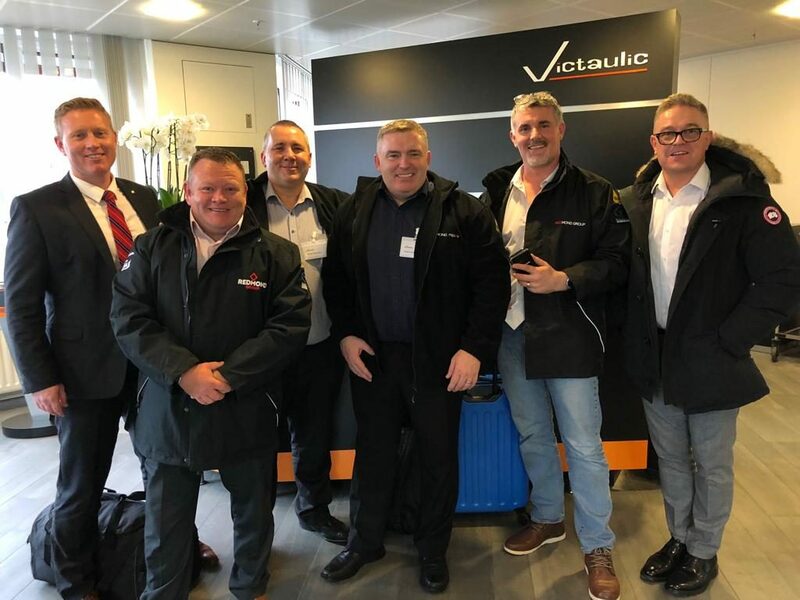 In October our Management Team – including our Directors – went to Belgium to learn how Victaulic’s excellent system works, and understand the correct procedures for installing it on our sites. 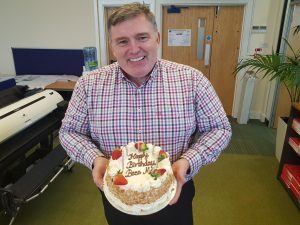 During the month of February we celebrated the birthdays of Stephen Redmond (Managing Director) and Matt Lee (Mechanical Contracts Manager). 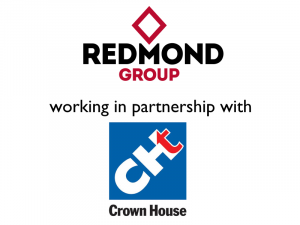 We are proud to announce Redmond Group have been awarded preferred vendor status by Crown House Technologies, part of the Laing O’Rourke Group. 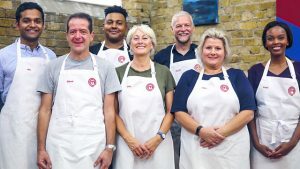 On MasterChef tonight at 8pm (Wednesday 6th March) is Lewis Riley-Lester! Lewis works as our Supervisor at our project for Jaguar Land Rover. 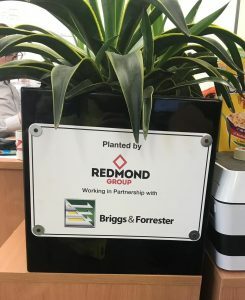 Redmond Group continuously improve the working environment for our operatives, one way we do this is by introducing plants on our sites. 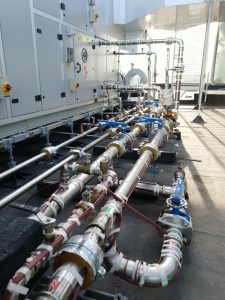 Redmond Group has completed the final connection to the Air Handling Unit at Jaguar Land Rover. 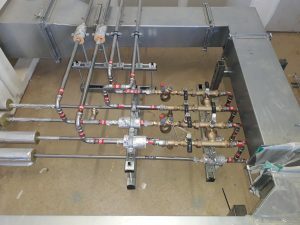 The photos show the high quality craftsmanship of our operatives’ work on the installed CHW and LTHW pipework. 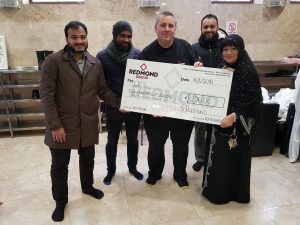 In December our HSQE & Sustainability Director, Mick McCarthy, presented a cheque for £200 to the London Islamic Cultural Society (LICS) at Wightman’s Road Mosque, with which we have a warm working relationship. Congratulations to the following people who have won Operative of the Month for each of our main sites in January. 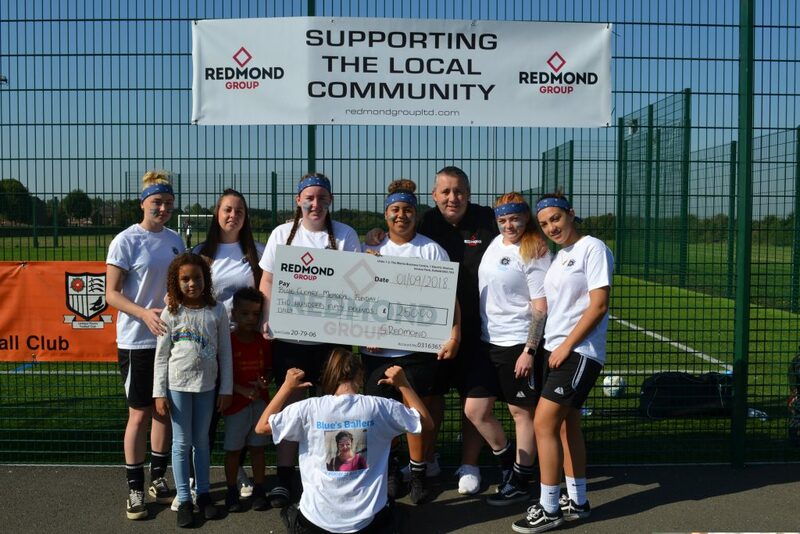 Redmond Group have pushed to support social value as much as we can. We are proud to recruit women into the on-site workforce. 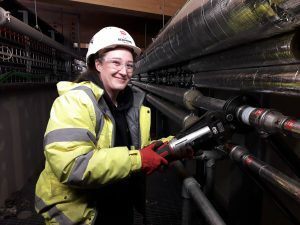 Meet Lucy Hargrave, who is one of our opertives on our site near Coventry. At Redmond Group we pride ourselves in ensuring the highest quality in our work at every opportunity. One of the ways we do this is by bringing new ideas to the industry. Our Quality Control Numbers (QCN) stickers (the red numbers in the images below) highlight which operative completed which section of work. 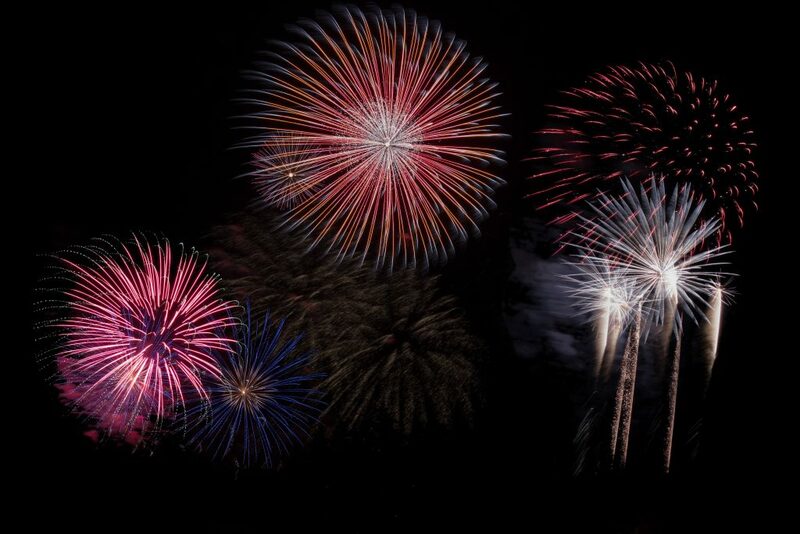 My first 12 months as Redmond Group’s non-executive director have been an absolute delight. 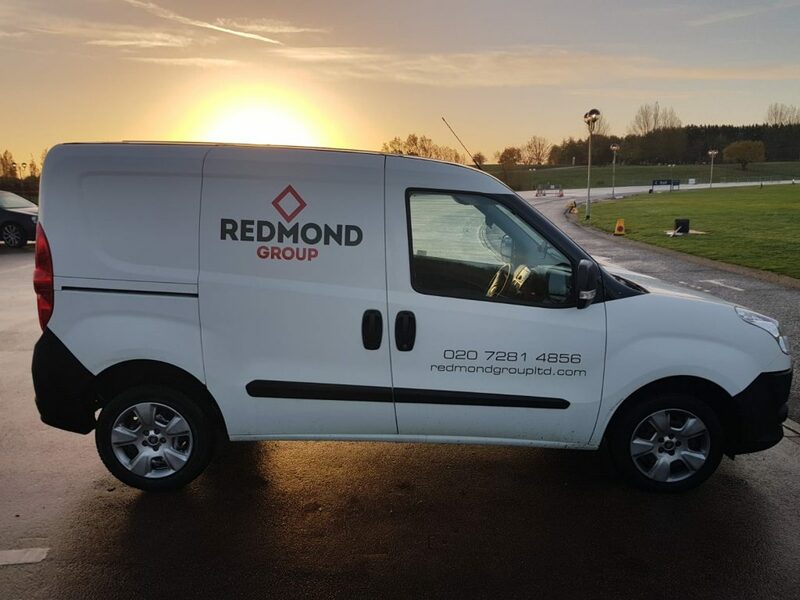 Redmond Group is a professionally run MEP business that typically works in the midlands and the south-east on contracts around the £2 million mark. 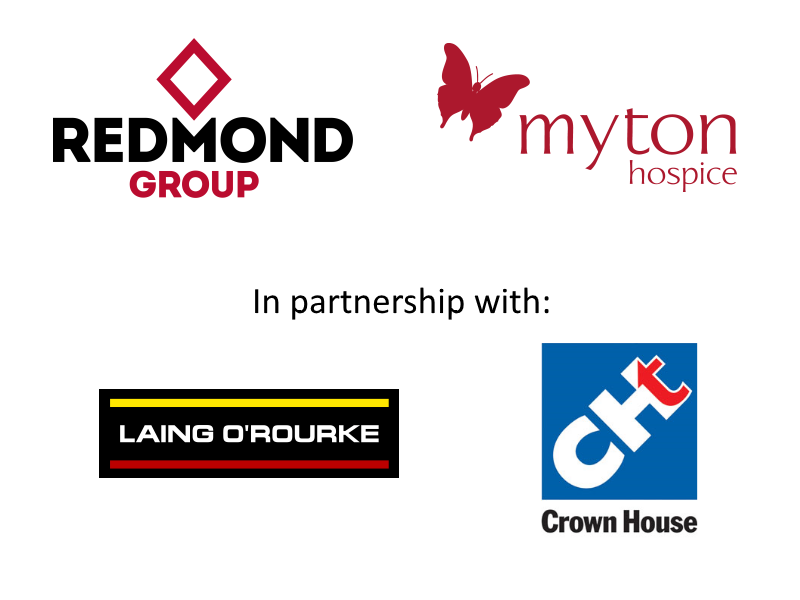 Recent jobs range from residential, commercial offices, data centres, hospitals, factories and shopping centres. I have been impressed by the real commitment to customer service and to the quality of works; it is so refreshing. Visiting some of the prestige jobs they are employed on and seeing how they deliver on time, on budget with no snags, it is just a real privilege to witness. The winners of the fund raising raffle on behalf of The Myton Hospices enjoyed their family fun visit to our Community Zoo. They visited our pigs, alpacas, goats and wallabies. 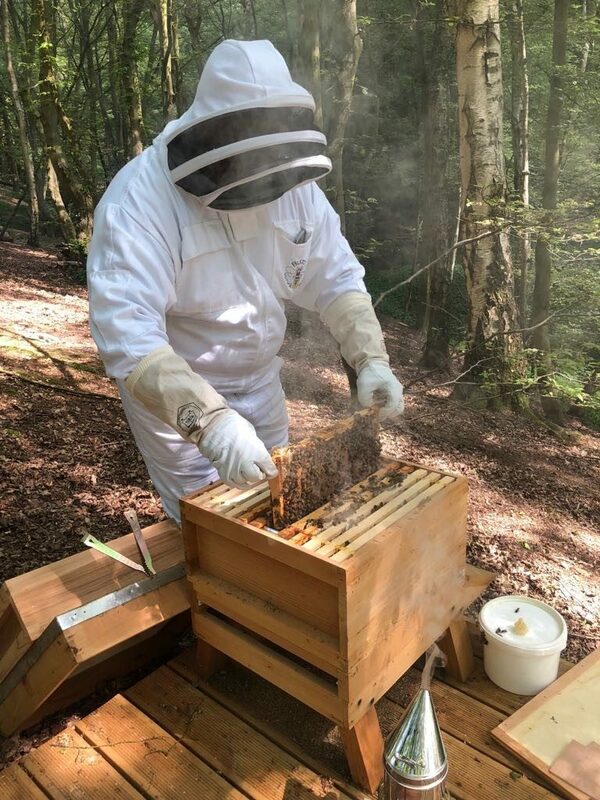 A 5 year Restoration Programme is in full swing to mantain a sustainable environment to the Redmond Group’s woodland area and ensure there are safe habitats for wildlife. 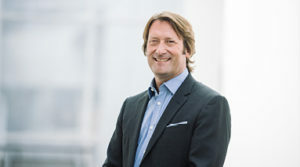 Redmond Group’s Non-executive Director, Dr Paul Toyne, explains why high quality affordable housing is a must in a future world. Cross-pollination of Redmond Group’s woodland area being aided by bees. 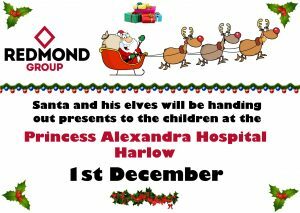 Santa visits The Princess Alexandra Hospital in Harlow, on Christmas Day. 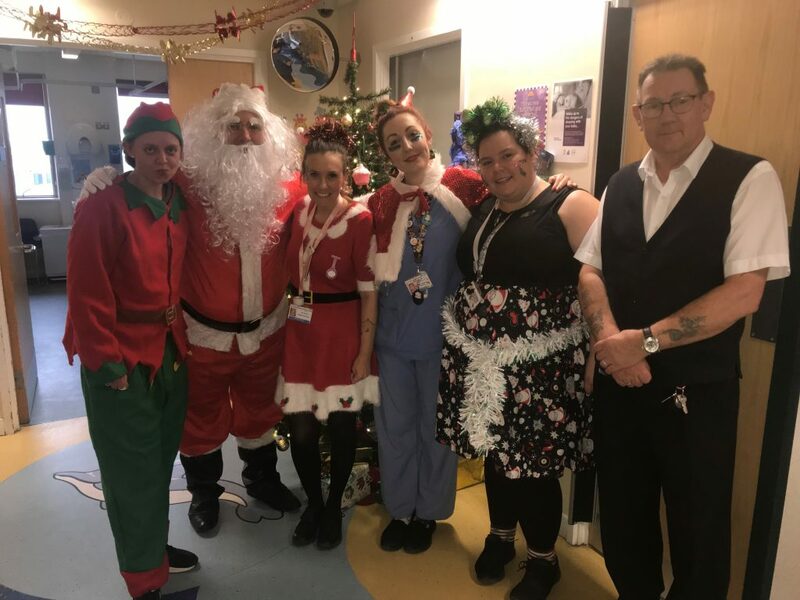 Here Santa is with one of his elves along with the lovely nurses at the hospital. 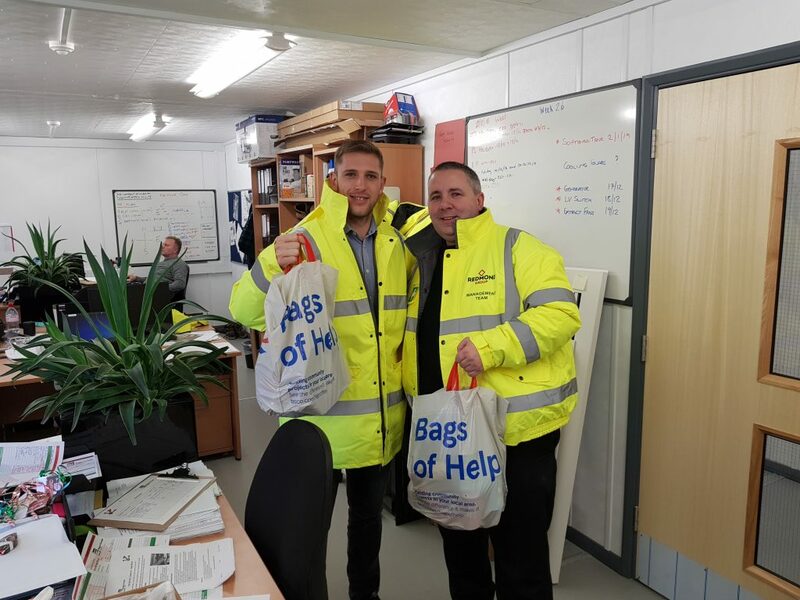 Our HSQE and Sustainability Director, Mick McCarthy, has donated 2 bags worth of food towards Briggs & Forrester’s chosen Christmas Charity – Hackney Food Bank. Redmond Group sponsors Ben Kasperczak, who is a 15 year old professional racing car driver. 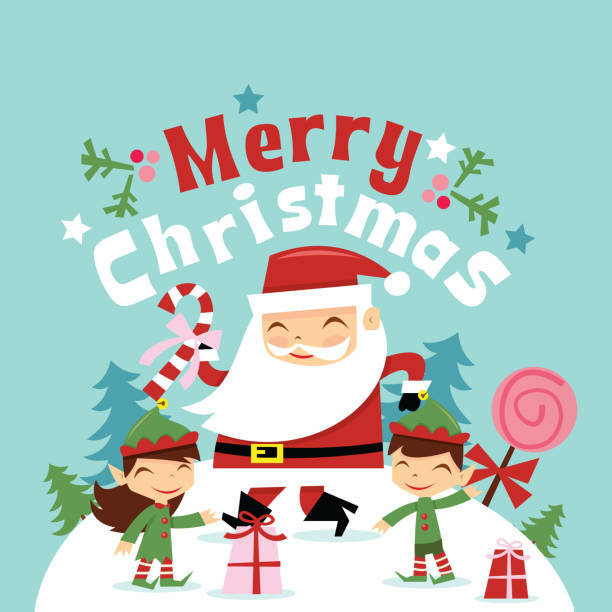 Redmond Group have registered for Christmas Jumper Day to help Save the Children. You can help too by texting TEAMREDMOND to 70050 to donate £2 to Save the Children directly. Redmond Group office move is complete, and we are now located in Unit 61 at the Wenta Business Centre. Further to our breaking news post on the 12th November we are unable to disclose further news as yet due to sensitive negotiations in the background but we expect to update the public later this month. Santa’s visit to the Harlow Hospital went well, and he wishes to thank Kerry Knight and Jan Boland for donating presents. Proceeds from our latest scrap metal recycling sale total a whopping £1,967.00! As Redmond Group continues to grow, so do our contributions to charity. Mick McCarthy, our HSQE & Sustainability Director, presents the cheque for £200 to our local football club, the St Joseph’s GAA Football Club. 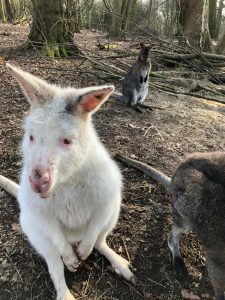 Redmond Group and staff welcomed a rare Albino Wallaby to our Community Zoo. Breaking news to follow later this month! 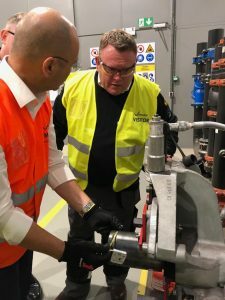 The senior directors and managers of Redmond Group at the Victaulic training centre in Belgium this week where they will achieve full certification, making Redmond Group the first UK company to become a fully certified Victaulic installer, a status previously only designated to installers in the United States. Redmond Group are moving from old their humble offices to a bright spacey, air conditioned open plan space within the next couple of months. We have raised a total of £1,090.60 over the last few months from recycling scrap metal and this will be split between 5 charities. 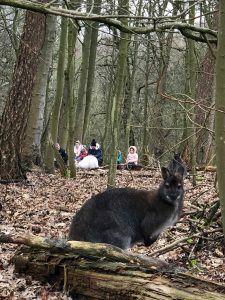 Four wallabies, which are of the Macropodidae family (the same family as kangaroos) have joined our Community Petting Zoo. 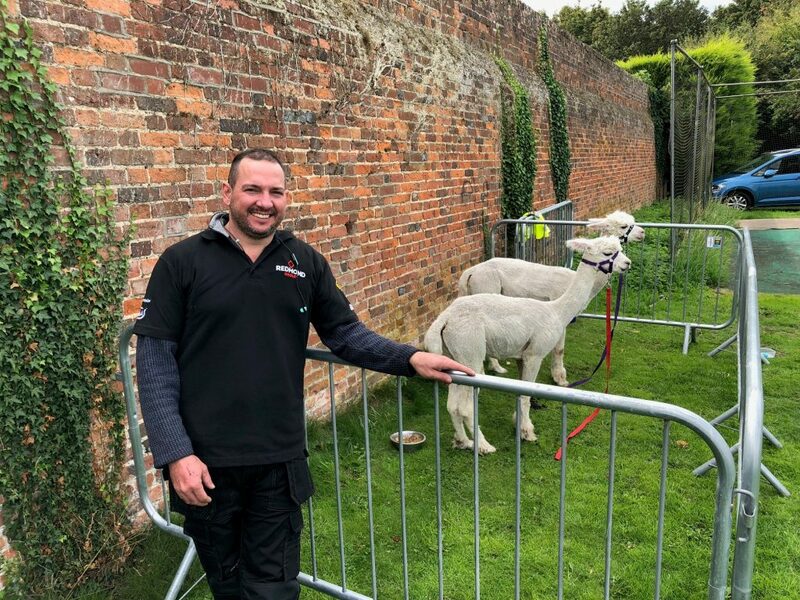 A baby Cria, Bucky, was born to Rosie the llama in the zoo on the 8th Oct.
We have over the last few months acquired two Toyota Prius hybrid cars to join our fleet of company vehicles. We are up and running with our woodland 5-year regeneration plan. Redmond Group provided our Community Petting Zoo animals for the first time at Essendon Community Day. 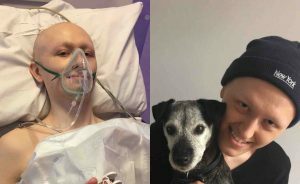 Tayler Kiernan, our Plant & Labour Manager, has been busy preparing a fundraising day at The Bull in Broxbourne on the 22nd September for 21-year-old Billy Clayton. 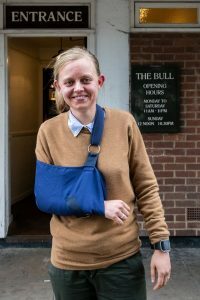 Her efforts haven’t gone unnoticed and she has made the local Hertfordshire Mercury. 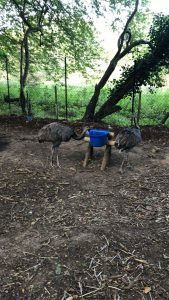 Redmond Group’s Community Petting Zoo has received a couple of new additions this week, we have taken on board two Rheas, which are distantly related to the ostrich and emu. Today marks the start of the BSS Car-aoke Challenge, where director Stephen Redmond, along with Scott Argent from BSS Group, Dom West of Aliaxis and 25 other cars/teams, all in aid of raising money for Mind: The mental health charity. 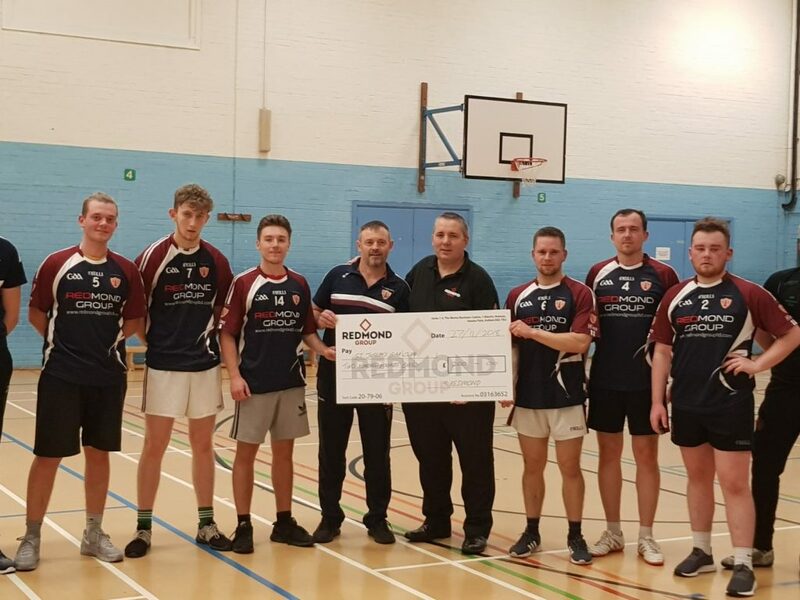 Redmond Group sponsored a Charity Football Tournament Charity Funday, with around 200 attendees on the 1st September in aid of Blue Cleary, who’s family organised the event. 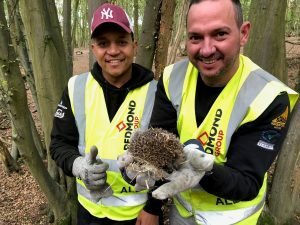 Ticco the Hedgehog’s cage door was opened today to allow his voluntary release back into his natural habitat. Below are pictures showing our team with him. His weight as of the 23rd August 2018 was a healthy 690 grams. 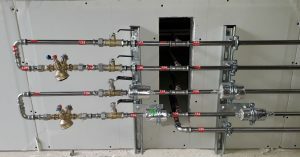 Redmond Group has been selected as the first UK company to become a fully certified Victaulic installer, a status previously only designated to installers in the United States. 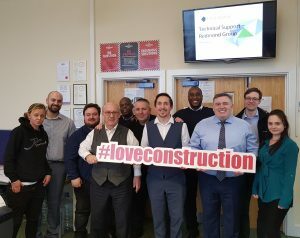 As part of Redmond Group’s ongoing commitment to community cohesion, the company has recently established a relationship with the London Islamic Cultural Society in Harringay. 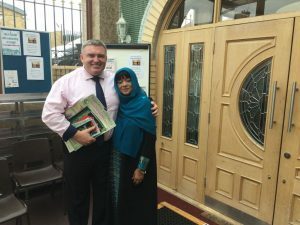 Stephen Redmond visited the mosque on 20th July 2018 and met with Ms Bibi Khan and Zamir Abdullah to discuss opportunities for continued engagement, as well as work experience placements for young people who attend the mosque. 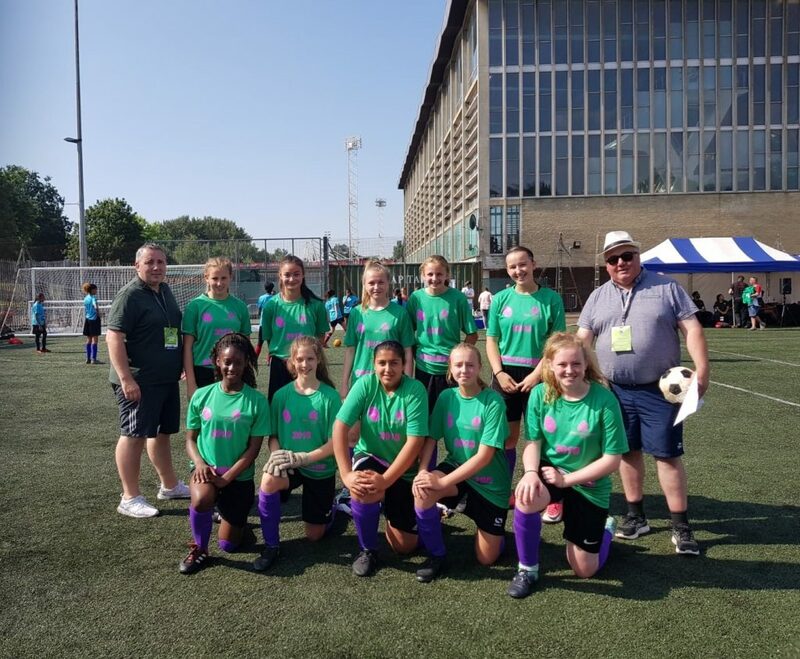 Mick McCarthy of Redmond Group took on the challenge of managing Hillingdon Borough’s under 14’s Girls Football Team at the London Youth Games. 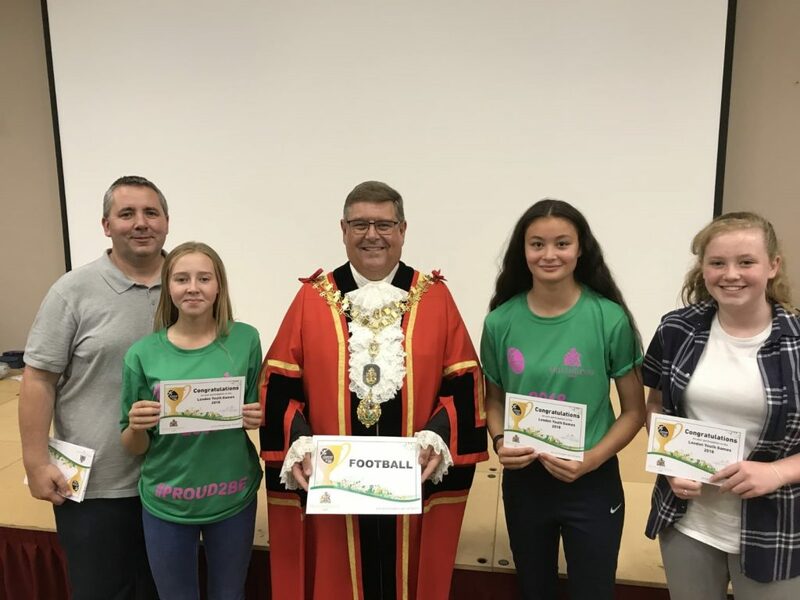 Councillor John Morgan, the Mayor of Hillingdon Borough, presents the girls with certificates at the Civic Centre following the London Youth Games. Nuno Martins, our supervisor at White City (Imperial College London), has received a Health & Safety Award from Laing O’Rourke. 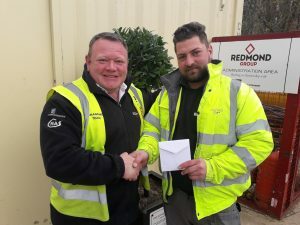 Congratulations to Tadgh for completing a week’s work experience with Redmond Group. During his time with us he was able to gain an overview of the services we offer our clients. Below he shakes hands with our HSQE and Sustainability Director, Mick McCarthy. Redmond Group has been award five years’ extra warranty on Pegler products taking the warranty period to 30 years compared to the standard 25. Pegler Yorkshire is a leading manufacturer of advanced plumbing, heating and engineering products. They have award the extra years’ warranty in acknowledgement of Redmond Group’s Forensically Controlled Installation System, incorporating manufacturer’s audits and quality control numbers for each operative. 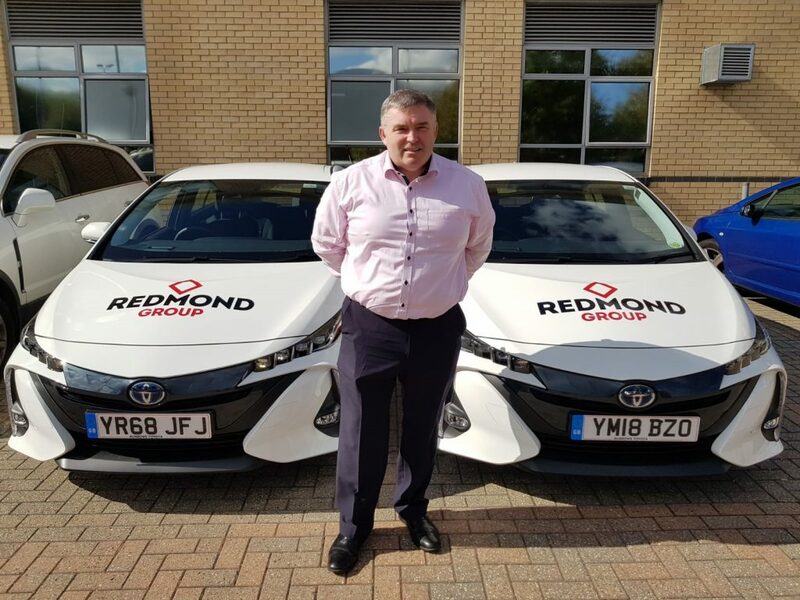 Stephen Redmond has confirmed his participation in the BSS Cara-oke Challenge, a charity driving event from the BSS head office in Leicester to Lake Como in Italy. 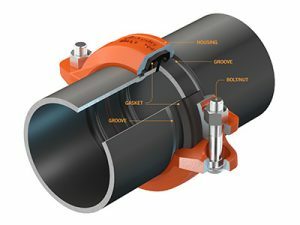 BSS Industrial is the UK’s market-leading distributor of pipeline and heating solutions and a trusted partner of Redmond Group. 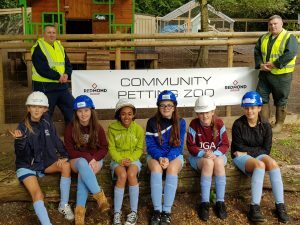 Redmond Group are investing in a transfer box to enable transportation of a selection of animals from their community zoo. The animals will visit communities that are local to the construction sites Redmond works on. 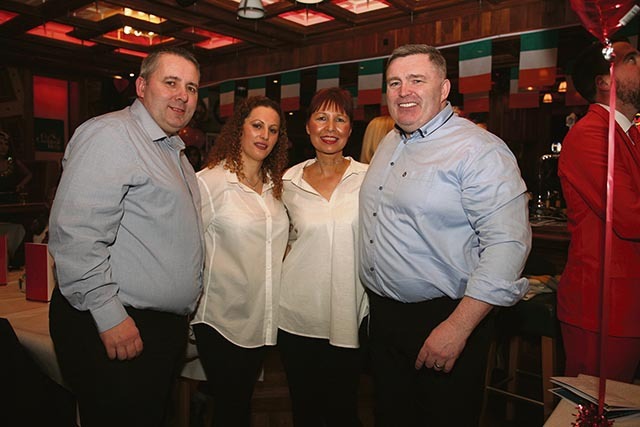 Managing Director, Stephen Redmond and HSQE & Sustainability Director, Mick McCarthy, both attended and sponsored the event for 2 year old Siobhan’s US cancer treatment. 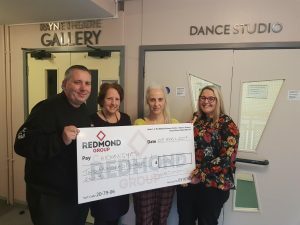 Redmond Group have donated £500 to Friendship House in Hatfield, Hertfordshire, a leisure centre for the elderly. The centre is open five days a week and promotes health and wellbeing through social contact and services, and activities that help elderly people continue to live independently in their homes. 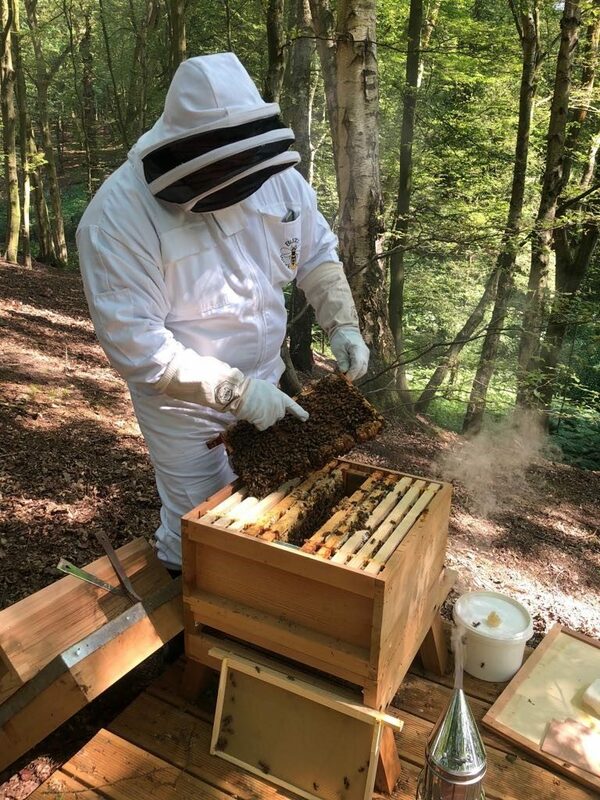 Wildlife and woodland restoration programme update. Redmond Group is celebrating a successful first two years of a five-year wildlife restoration programme across 11.5 acres of woodland. 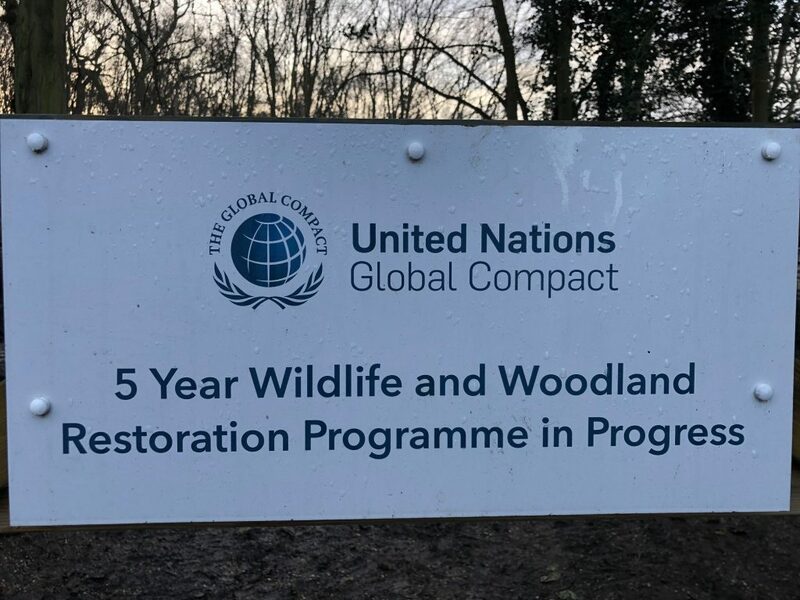 The programme is being monitored in accordance with the United Nations Global Compact and the woodland is open to small groups of people on pre-organised visits. Animals in the Redmond Group community zoo are kept here. Since Redmond Group initiated the restoration programme, new animals have been introduced and species have returned. 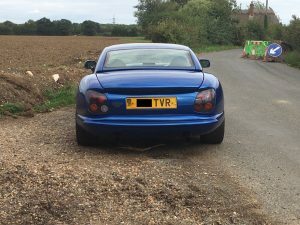 The ground was prepared to save hedgehogs and their habitat and pheasants have become a permanent fixture, alongside many other native birds. The rule of the restoration programme is that no animal can be killed and that all animals must be catered for through considered land management techniques. Woodpeckers, tawny owls, birds of prey, barn mice, muntjac deer, badgers, hedgehogs and rabbits and at least one cuckoo are all living in the woodland! Redmond Group employees are regular volunteers on the land, carrying out initiatives to support the restoration programme. 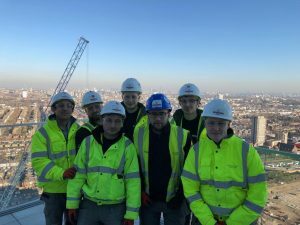 Just two years after joining the Considerate Constructors Scheme, the Redmond Group has been awarded a silver company award. 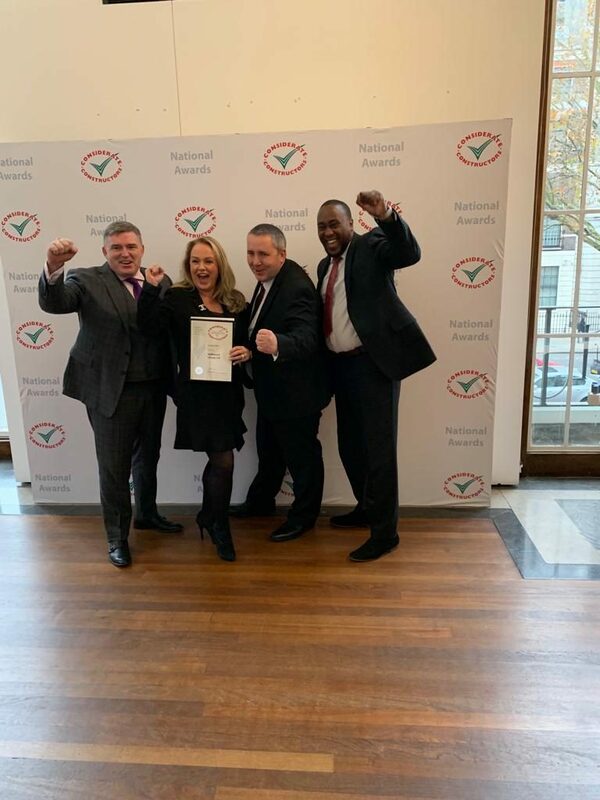 The Considerate Constructors Scheme’s National Company and Supplier Awards are one of the most respected accolades in UK construction. 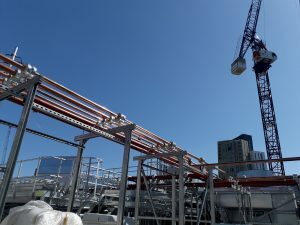 They mark the achievements of construction sites, companies and suppliers who voluntarily register with the Scheme and agree to abide by the Code of Considerate Practice.